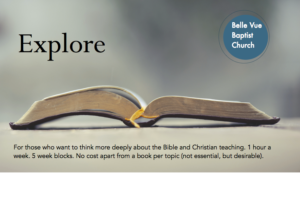 Explore is an opportunity to understand and think more deeply about the Bible and Christian teaching. 5 week courses. 1 hour a week.